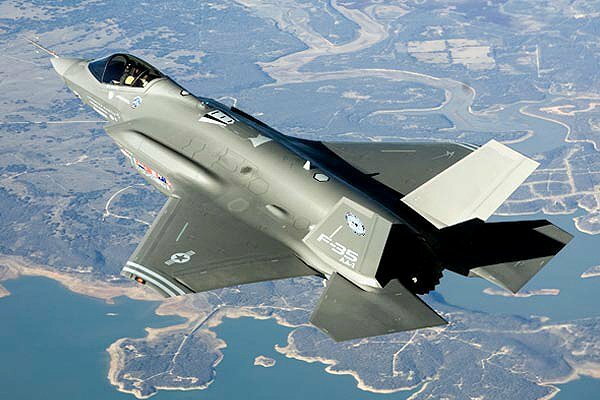 Comment A colourful Australian IT engineer and airpower zealot has published a stinging attack on the F-35 stealth jet fighter, which is to be purchased by military forces worldwide including those of the US and UK. Dr Carlo Kopp - to quiet applause from many in the aerospace world - says the F-35 "is demonstrably not a true stealth aircraft", and contends that it will be easily defeated by Russian-made radars and missiles. Dr Kopp's report, Assessing Joint Strike Fighter Defence Penetration Capabilities, is published at his Air Power Australia website, where he campaigns against Australia's stated policy of purchasing F-35s. Kopp believes that the land down under should instead keep on operating its 1970s-era F-111 swingwing bombers, and ask the US to buy the latest Raptor super stealth fighters as well - though these aren't on offer for export at present. The F-35, also known as the Joint Strike Fighter and as "Lightning II", is mainly built in America. However, the programme has many overseas industrial partners - particularly including the UK - and unlike the Raptor it is intended for wide export to US allies from the outset. Within the US armed forces, it is intended to be an "affordably stealthy" and numerous supplement to small numbers of dedicated air superiority planes like the Raptor and the US Navy's Super Hornet. F-35s are supposed to focus mainly on air-to-surface strike missions, but also to offer a solid performance in air-to-air combat, especially at long ranges using advanced missiles and low radar signature to good effect. The F-35, unlike the Raptor, is also to be available in vertical-landing jumpjet (F-35B) and catapult/tailhook aircraft carrier (F-35C) versions. As with claims made for Joint Strike Fighter air combat capability, claims made for the Joint Strike Fighter concerning the penetration of [enemy air defence networks] equipped with modern radars and SAMs are not analytically robust, and cannot be taken seriously. He goes on to analyse the shape of the F-35 prototypes now flying, using openly-available photos, and says that the aircraft is basically only stealthy at all (that is, difficult to see on radar) from dead ahead and, somewhat less so, from dead astern. According to Kopp, any enemy radar to one side of the aircraft will be able to see it as though it had no stealth features at all. He also reckons that the latest Russian defence radars, nowadays operating on longer wavelengths as a countermeasure against US stealth planes, will be able to see an F-35 from any direction - completely invalidating its low-observable design. This will mean that countries with modern air defence networks supplied by Russian exporters will find it a simple matter to stand off air forces equipped with F-35s. The operational economics of a fighter force using the Joint Strike Fighter will be much inferior to a force using a true all aspect stealth aircraft such as the F-22A Raptor. Next page: Russian 'Cheese Board' = F-35 chopping block?